One of the more clever restaurant concepts I’ve seen is coming to Charlottesville. Years ago, when I lived in Boston, I marveled at the genius of a place called Parish Cafe, whose entire sandwich menu consisted of collaborations with top area chefs, such as the Blue Ginger, by Blue Ginger chef-owner Ming Tsai — tuna steak grilled rare with a teriyaki glaze on onion focaccia with Boston bibb lettuce, tomato, avocado, wasabi aioli, and chopped scallions. The advantages were many: delicious and interesting sandwiches for customers, free exposure for area restaurants, and a showing of community among Boston restaurants. With a great restaurant community in Charlottesville, I had always thought the concept could work well here. So, the Keevils will continue to offer grocery and convenience items, as at Gibson’s. But, they plan major upgrades in prepared food. Harrison shares my love of sandwiches, and will create a menu of made-to-order sandwiches, plus take-away salads and sandwiches. 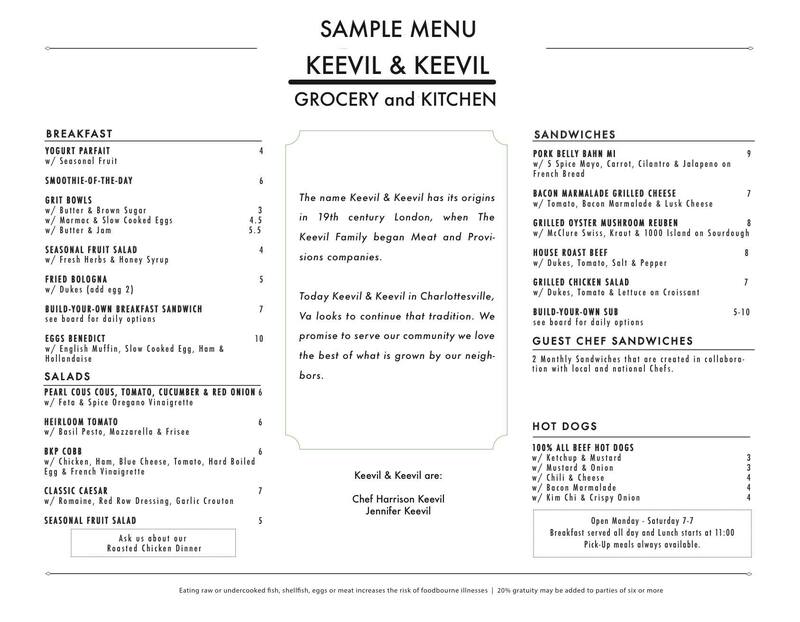 The Keevils will also introduce a breakfast menu of made-to-order sandwiches, grit bowls, smoothies, and more. A sample preview menu, below, includes options like a bacon marmalade grilled cheese and a “Reuben” made from grilled oyster mushrooms. 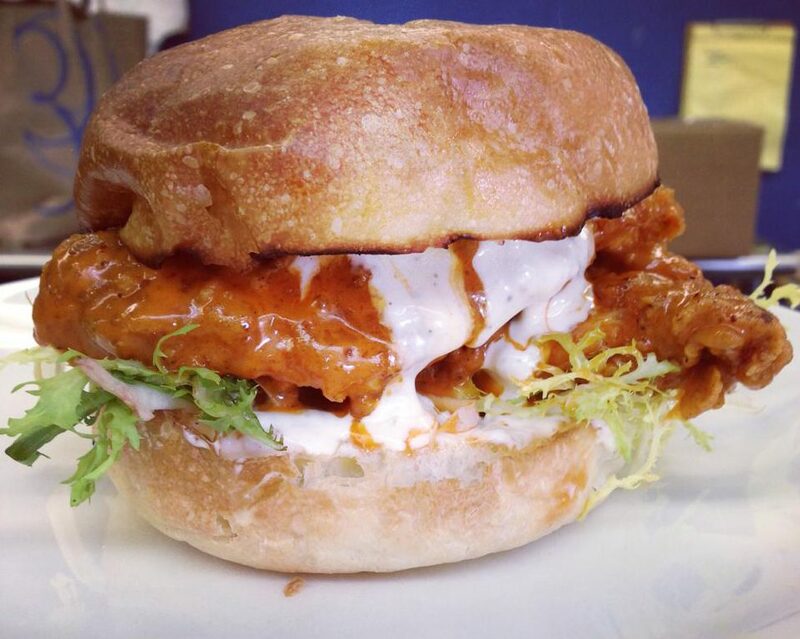 Perhaps best of all, though, is a monthly rotation of “Guest Chef Sandwiches.” Like at Parish Cafe in Boston, Harrison will collaborate with top local and national chefs to create two new sandwiches each month. With so many great chefs in the area, these should be a treat. The Keevils expect to open in late July or early August. Stay tuned.